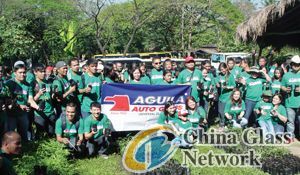 THE most recognized name in the Philippine glass industry, Universal Glass Co. Inc. and its trademark Aguila Auto Glass, celebrated its sixth decade of service excellence and commitment to providing quality products to Filipinos on February 26 at the EcoAcademy where no less than its 200 employees came together and planted 250 narra tree seedlings in one hectare of land at the La Mesa Eco Park in Quezon City. “We will protect a hectare of forest for three years to remind us that all our hard work will be in vain if our children will not have a healthy world to live in. Today is indeed special as we celebrate our togetherness and plant seeds for our future…together, one UGCI family for each other and our fellow Filipinos,” said Pia Borromeo, marketing manager of Aguila Auto Glass. Aguila Auto Glass is the foremost source of automotive safety glass in the Philippines and carries the most extensive range of glass-related items such as windshields, backglass, doorglass, tempered glass, safety laminated glass, multilayered glass sealants, acrylic plastic, rubber, channels and mirrors for various automotive replacement applications. Today, over 20 branches across Luzon are located and they are in Muntinlupa, Makati, Manila, Marikina, Parañaque, Pasig, Quezon City, Valenzuela, Angeles, La Union, Baguio, Cabanatuan, Dagupan, Lipa, Naga, San Fernando and Cavite. It carries over 3,000 types of automotive glass for both old and late-model cars, including original and replacement windshields for a huge range of imported luxury marques like Porsche, Mercedes-Benz, BMW and Audi, as well as American, European, Japanese, Korean and Chinese brands. The company also specializes in bus and truck windshields in varying sizes as well as made-to-order glass for custom and specialty vehicles such as the PhUV, e-Jeep and rare car restoration projects. All Aguila Auto Glass automotive products are tested and compliant as provided for by Republic Act 4109 and Department Administrative Order 5, Series of 2001. They are also certified under the Philippine Bureau of Product Standards Philippine Standard and Import Commodity Clearance scheme, but they’re more than just a glass company. 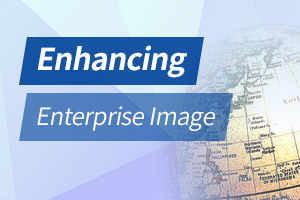 As a way of giving back to society, UGCI is actively involved is several corporate social responsibility activities. The company is a proud supporter of Gawad Kalinga communities, which it has been providing with hundreds of windows since 2008. Founded in 2003, Gawad Kalinga continues to build empowered communities by people with faith and patriotism; driven by a culture of caring and sharing, dedicated to eradicate poverty and restore human dignity. Aguila Auto Glass is also an active participant in the quest of the Philippine Eagle Foundation (PEF) to protect the vanishing Philippine Eagle. Since 2009, Aguila Auto Glass has partnered with PEF in promoting the survival of the Philippine Eagle, the biodiversity it represents, and the sustainable use of our forest resources for future generations to enjoy. Truly, Aguila Auto Glass has come a long way since 1952 and will continue to serve the Filipino people by producing products that are reliable and safe. “Animnapung taon na ang Aguila! Naglilingkod saan man, kasama ninyo sa pag-unlad…Noon, hanggang ngayon!” added Borromeo.